Singer/songwriter Tift Merritt seemingly appeared out of nowhere in the spring of 2002 with her acclaimed debut album, Bramble Rose, but as is often the case, this triple-threat artist -- a gifted singer, superb songwriter, and skillful guitarist -- actually has plenty of experience under her belt. Born in Houston, Texas in 1975, Merritt's family moved to North Carolina when she was young and she's lived there ever since. Merritt first developed an interest in music when she was a child and learned to sing harmonies with her father, who had dabbled in folk music in his younger days; in her early teens, she picked up a guitar and her dad taught her her first four chords. 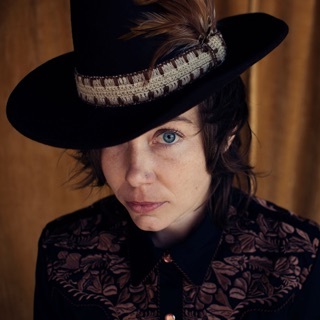 While Merritt was drawn to the rebellious spirit of punk and indie rock, she felt a greater emotional connection with more acoustic-oriented artists, particularly Joni Mitchell (Merritt once told a reporter, "I went through a Joni Mitchell phase -- and all girls go through a Joni Mitchell phase; if any girl tells you she never did, don't believe her."). Hearing Emmylou Harris' album Quarter Moon in a Ten Cent Town opened Merritt's ears to roots music and she soon began to immerse herself in North Carolina's active alt-country scene. 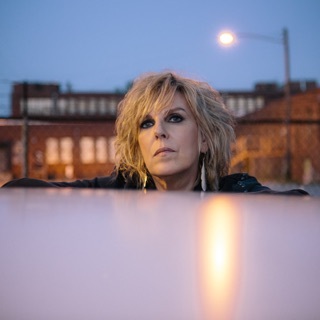 Merritt began appearing on a semi-regular basis with the band the Two Dollar Pistols, singing duets with lead singer John Howie and playing rhythm guitar; she eventually appeared on a seven-song EP of classic country covers the group released in the fall of 1999. Looking for a vehicle for her own songwriting, Merritt had formed a band called the Carbines in 1998 with drummer Zeke Hutchins, guitarist Greg Reading, and bassist Jay Brown; the band soon became a fixture on the North Carolina club scene and released a well-received 7" single.